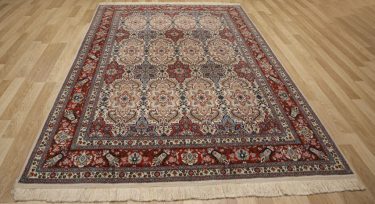 An oriental rug is a timeless treasure that becomes more and more beautiful through the years. Of course, a high priority is to keep something that gorgeous looking perfect. What happens when you run into problems with the fabric? In the next few minutes, we will give you some new thoughts about how to fix color runs on oriental rugs, all while keeping your investment in prime condition. What is a Color Run? This is an excellent question! We checked out what Rug Rag has to say. They claim this is when one hue bleeds outside of its lines and carries over into another. If your rug is not made from quality materials, or the color mixture is too heavy, this can happen. Color runs are a pain, but they are not hard to locate. Sometimes, mere observation can help you in this department. If further inspection is necessary, you must scrutinize the direction of the rug with deeper coloring. It is possible that your carpet can be saved – never fear! However, it is not recommended that you try to go DIY on this particular project. This is one of those instances where trying to correct a problem may actually create a much larger one. 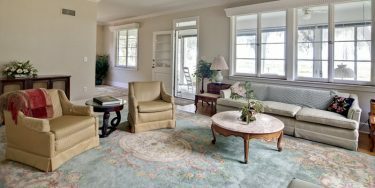 Take your rug in to an expert to determine what procedures are necessary. 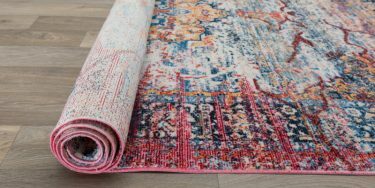 It is nice to know that there are professionals to help with your rug care needs, but wouldn’t it be nice if that wasn’t necessary to begin with? There are a couple options for treating and stopping color problems in their tracks. The first is to not try washing it yourself without doing a trial run on a tiny corner of the material. The liquids will only aggravate color bleeding problems, and can even create them. Next, check your rug often for color runs. Do this by checking it over in a natural light setting, maybe near a window or outdoors. Make a practice of doing this, because with dye problems, the sooner you know, the better. Last, regular trips for maintenance of your rug will keep you informed about the type of materials your carpet has, and how to keep them looking pristine. Color runs happen frequently for oriental carpets. 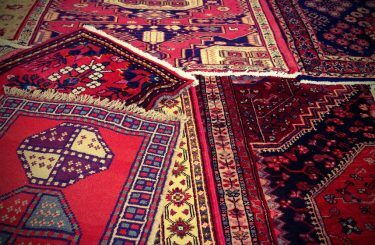 Getting the very best care out there for your investment is completely necessary, and will serve you and your rug well. You now know what a color run is and how to find it. We have also covered taking your carpet into an expert in this field for additional help. And you have been made aware of the best ways to keep color bleeding from being an issue in your home. One last tip, when in doubt, ask! If you think something is not quite right with your material, a professional will be happy to answer any and all inquiries. Here’s to keeping your oriental rug in its best possible state!